SAM, our galaxy-traversing Sustainability Augmentation Model, needs your help on a mission to save the galaxy and the Chroma civilization! Explore and manipulate wondrous worlds to unlock the life-giving sources of clean energy hidden within each planet. Powered by NRG, The Path to Luma (TM) is a free adventure puzzle game with no ads or in-app purchases. 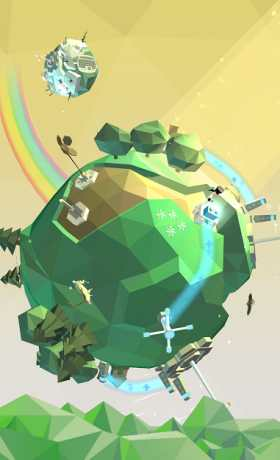 Play as SAM, an android sent by the Chroma civilization to save the abandoned planets of their galaxy, and fulfill a quest to harness the power of clean energy. Explore 20 stunning worlds and solve mind-bending puzzles in a uniquely immersive gaming experience. From frozen planets encased in ice and snow to massive geode planets dotted with colored crystallizations, The Path to Luma offers a breadth of magical worlds to investigate. 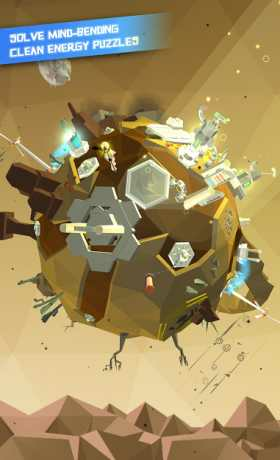 Using simple one-finger controls, you will effortlessly manipulate beautiful 3D planets and guide SAM along an epic journey. And keep an eye out for mythical creatures! 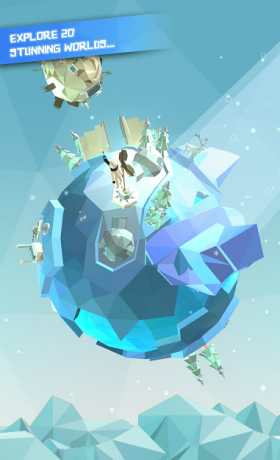 Harness the unique resources of each world by deploying dynamic clean energy technologies to save the planets from the harmful impacts of climate change. From solar and wind power to waste-to-energy technology (and more), SAM is equipped to act fast to save the galaxy! Made by Phosphor Games, the creators of the smash-hit game Horn, and featuring an astonishing soundtrack by world-renowned composer Austin Wintory, The Path to Luma offers players a memorable story of heroism and the revitalization of a civilization.